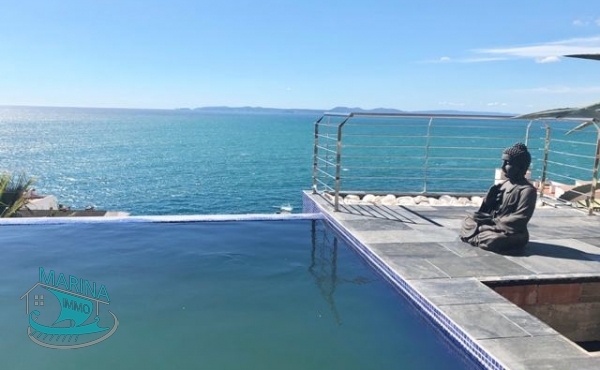 Villa located on a wide canal in Empuriabrava with a private mooring of 10.5m It consists of a living room - dining room, 1 fully equipped kitchen, 3 bedrooms, 3 bathrooms with wc, terrace, swimming pool Extra's: .. 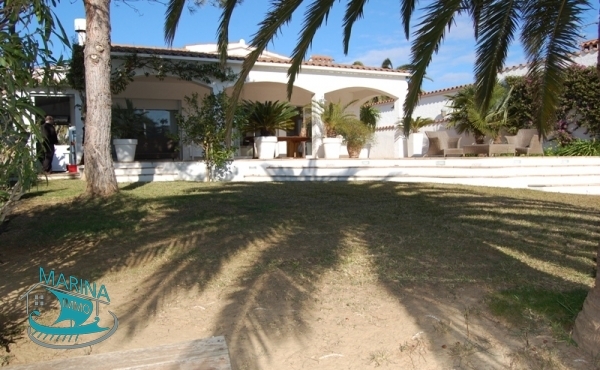 This beautiful modern house is located in a very quiet area of Empuriabrava. It has just been completely renovated. 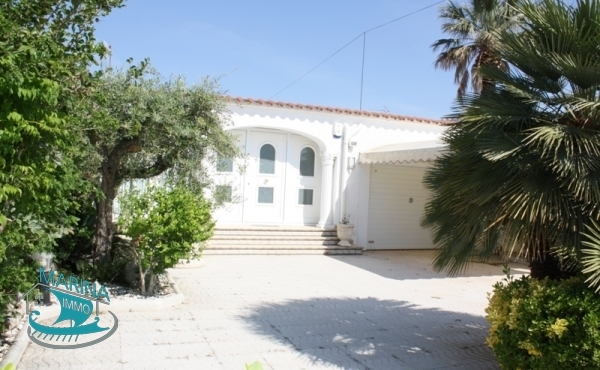 It is composed of 4 bedrooms and 3 bathrooms. The house is extremely bright. It is fully equipped and consists .. 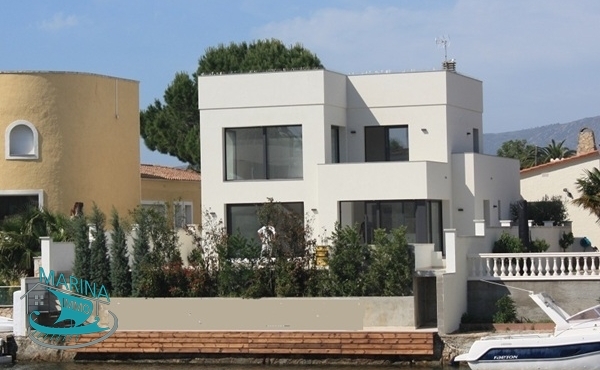 This recently built villa is located in Canyelles - Roses. 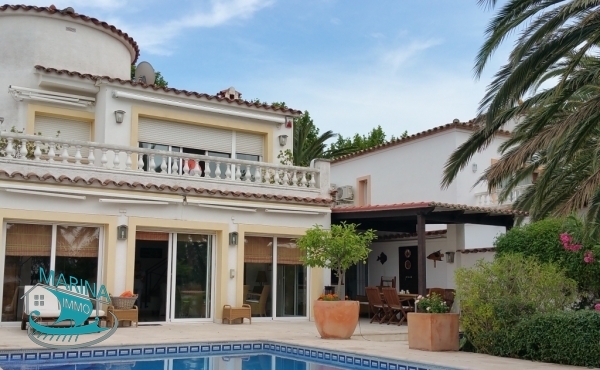 It is located in a highly sought after area of the Costa Brava. Beach at 700m South exposure Its sea view will leave you speechless! It consists of a spacious .. This villa is located in Roses - Canyelles It consists of a living - dining room, a fully equipped kitchen, 3 bedrooms, 2 bathrooms with wc and a terrace of 60m2 with swimming pool and a ..